Spoiler alert: in most of the UK, wild camping is illegal. That’s the usual (and perhaps surprising) rule of thumb when it comes to pitching tents anywhere other than dedicated campsites. Scotland is the glowing beacon of exception. Here there’s public access to all land (with a few limitations) for a range of activities – including camping. The Scottish Outdoor Access Code explains that where camping is lightweight, done in small numbers and only for two or three nights, you can camp wherever these access rights apply (although there are conditions attached – see www.outdooraccess-scotland.com). 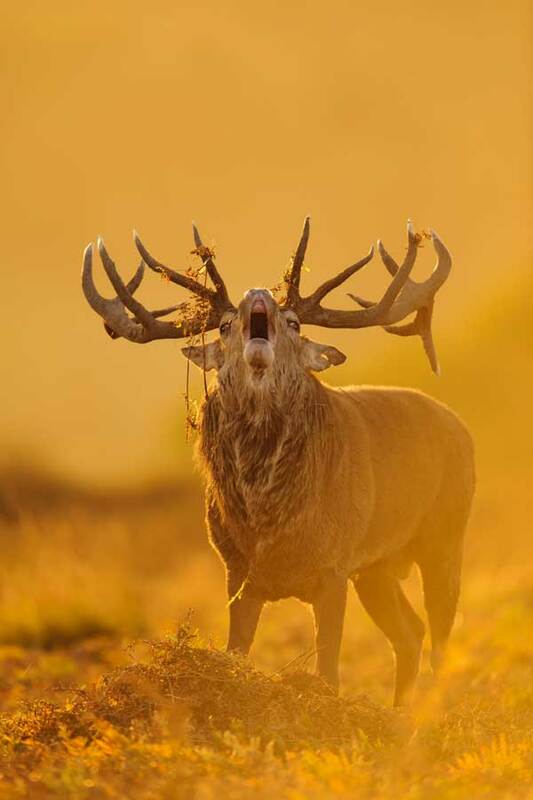 This provides some of the most generous and permissive access anywhere in the world, although it’s worth noting that it can be withdrawn under certain conditions such as during deer stalking or grouse shooting seasons. But in the rest of the UK, things are far less open. In Northern Ireland access is restricted to land in public ownership and to which the public are invited to use, public rights of way (which are far fewer in NI), or where the public have the landowner’s permission. In England and Wales the Countryside and Rights of Way Act (CRoW) grants the public right of access to land mapped as ‘open country’ (mountain, moor, heath and down) or registered common land for uses such as walking, climbing and running. But camping is explicitly prohibited. The only exception is Dartmoor, although even here permission to camp is not universal and many areas are no-camp zones (see www.dartmoor.gov.uk/about-us/who-we-are/byelaws for a list of exclusions). Ah, yes – the Loch Lomond scenario. As stated, the right to wild camp in Scotland is enshrined in the Land Reform Act 2003 (LRA). Sadly for those who would use this privilege responsibly, the behaviour of a minority of disrespectful campers – such as littering, fire lighting and deliberate damage to the environment – led to an unfortunate outcome. As of March this year, a by-law was introduced making it necessary to acquire a paid-for permit from the Loch Lomond & The Trossachs National Park in order to camp in certain locations around the loch. This was met with outrage by proponents of unrestricted wild camping who argued that the restrictions flew in the face of the advances made by the LRA. Phoebe Smith, author of Extreme Sleeps and a wild camping evangelist, is one of those aggrieved by what she considers a retrograde step in access rights. “The National Park are effectively criminalising wild campers who could now face a criminal record and hefty fine. As it stands, the Camping Management Zones cover less than four per cent of the park and are only in effect between March and September. However, other sites around Scotland (such as Glen Etive) whose proximity to roads and wild scenery mean they are suffering from similar ailments will be following developments around Loch Lomond with interest. Outside of Scotland, there’s still the issue of landowner permission. One of the largest landowners in the mountain areas of England and Wales is the National Trust, so what’s its take on wild camping? 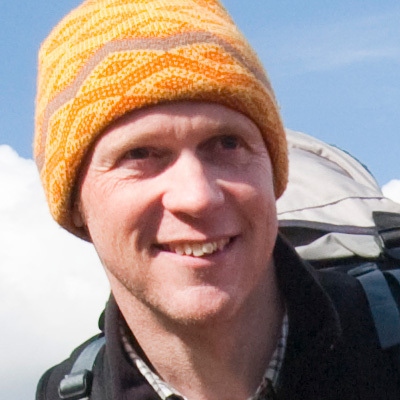 Gareth Field, outdoor activity licensing project manager, told us that, far from being opposed to it, the Trust not only tolerates responsible wild camping – but extols the virtues of the true wilderness experience. Given the difficulties in establishing who the landowner might be, would it prepared to provide this information on request? “Snowdonia National Park Authority has supplied details of landowners in the past for individuals or sometimes outdoor centre groups who wish to wild camp properly.” That’s something. With the National Trust tolerant of responsible wild campers and the Park Authority open to providing contact information for landowners, wild camping in Snowdonia might still be on the cards. And Wales could potentially be following Scotland’s lead when it comes to access. The legislation is currently under review by the Welsh Government. Proposal 11 of the Taking Forward Wales’ Sustainable Management of Natural Resources consultation document suggests revoking various restrictions on access provided in the CRoW Act 2000, including camping. This would make wild camping permissible on existing open access land. Wherever you wild camp, certain responsibilities and conditions should be observed to protect the environment and maintain the tolerance of landowners and management organisations. Camp high on open hills away from main tracks, houses and farms. Minimise numbers of people and tents. Large groups should use official campsites. Where possible use neutral-coloured tents that blend into the landscape. Pitch your camp late in the evening and leave early in the morning. Do not dig drainage ditches, trample plants or move rocks in order to pitch your tent. If you’re in any doubt about whether you can camp, choose another location. If asked by a landowner to move on, do so respectively without argument. Don’t light any fires; use a proper camping stove for cooking. Toileting should be well away from any water source or path (30m or more) with waste buried at least 15cm deep. 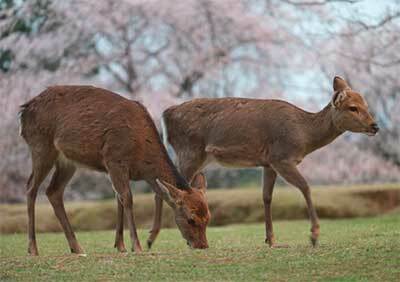 Paper and sanitary items should not be buried as animals will dig them up. They should be bagged up and carried out. Do not use streams or rivers for washing with soaps or detergent. Take a small bowl, use eco-friendly products and dispose of this away from watercourses. Maintain the peace by aiming to be as quiet as possible during your camp. Don’t remain in the same spot for more than one night or two nights maximum. Bag up and carry out all litter, including food scraps. Leave no trace that you’ve camped. So, what have we learned? The wild camping waters are still muddied when it comes to legality. In Scotland you’re generally okay, with the exception of specific sites around Loch Lomond. 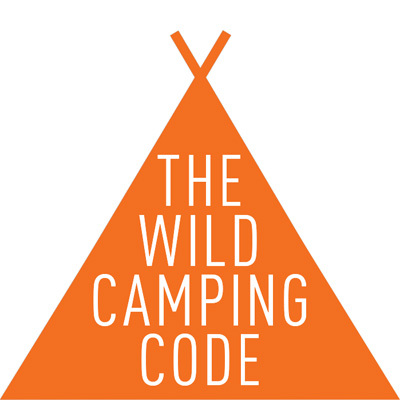 In the Lake District wild camping is tolerated as long as it is carried out responsibly and with consideration. The National Trust takes a similar approach on their land. But other organisations, such as Snowdonia National Park, are less enthusiastic and would prefer campers followed the letter of the law and request landowner permission. Unless, of course, the legislation currently under revision is changed, in which case Wales could join Scotland as a wild camper’s paradise. And down in Dartmoor wild camping is fine – but not everywhere. No wonder people are confused. Lots of people will be aware of the danger of ticks in the UK transmitting Lyme disease, but what are the risks in other European countries? While Lyme disease is the most common disease spread by ticks in the Northern Hemisphere, these tiny arachnids can also carry a deadly viral infection called tick-borne encephalitis (TBE). 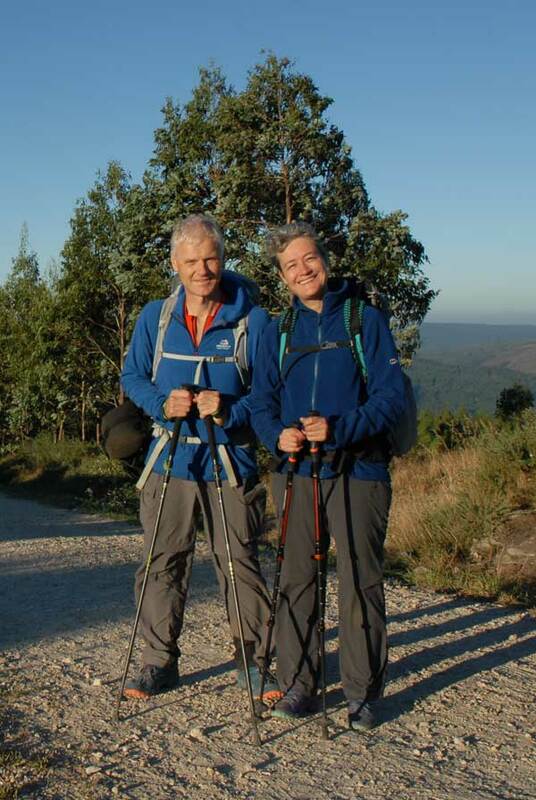 While TBE does not occur in the UK, it is endemic in some European countries popular with hillwalkers including Austria, Switzerland, Germany, Slovakia, Poland and Sweden. TBE is a debilitating infection of the central nervous system that can cause inflammation of the brain (encephalitis) and meningitis. Spread through the bite of an infected tick, symptoms can range from fevers, headaches and nausea to, in some cases, convulsions and paralysis. Conversely to Lyme disease though, which can be treated with antibiotics, there is no specific treatment for TBE. Ticks hide in long grass waiting for a host to brush past that they can attach themselves to. 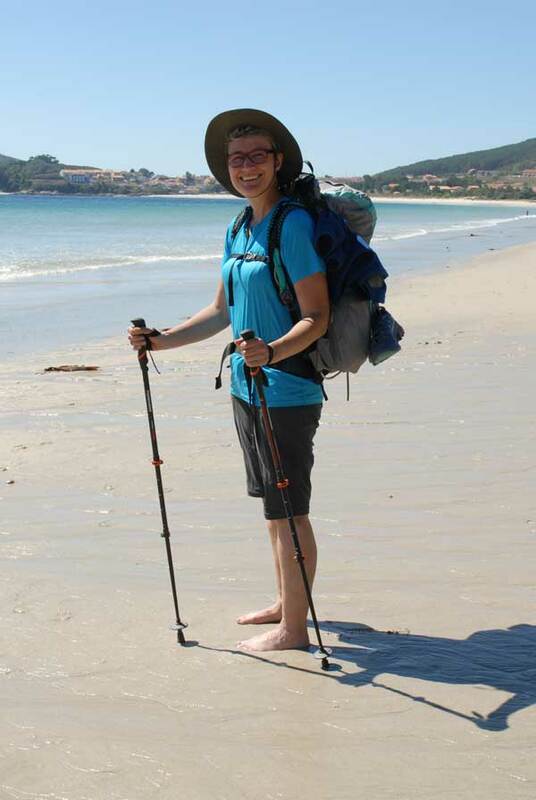 If walking in a tick-endemic area, especially where there is thick or high vegetation, the best preventative measure against getting bitten is to cover up and wear long sleeve tops and long trousers tucked into socks. It is also recommended to use insect repellent on your clothing and regularly check for ticks in areas such as your armpits, hairline, under the knee, groin and bottom. Always remove a tick with care as soon as it is discovered using a fine-tipped pair of tweezers or a specific tick removal tool. There are vaccines available that can help to protect against TBE, and so it is advisable to speak to your healthcare professional at least four weeks ahead of your holiday. The risk of catching TBE is most prevalent during the warmer months when ticks are most active from spring through to autumn, so if you are planning on a hillwalking holiday this year it’s important to know if the area is affected by ticks and TBE. Visit www.tickalert.org for more information on areas that are affected. Taking to the outdoors, whether on a big adventure or a regular stroll is not without its peril. It is, after all, a dangerous business stepping out your front door. We all know about the dangers of rock falls and falling from heights. Such perils are self-evident. 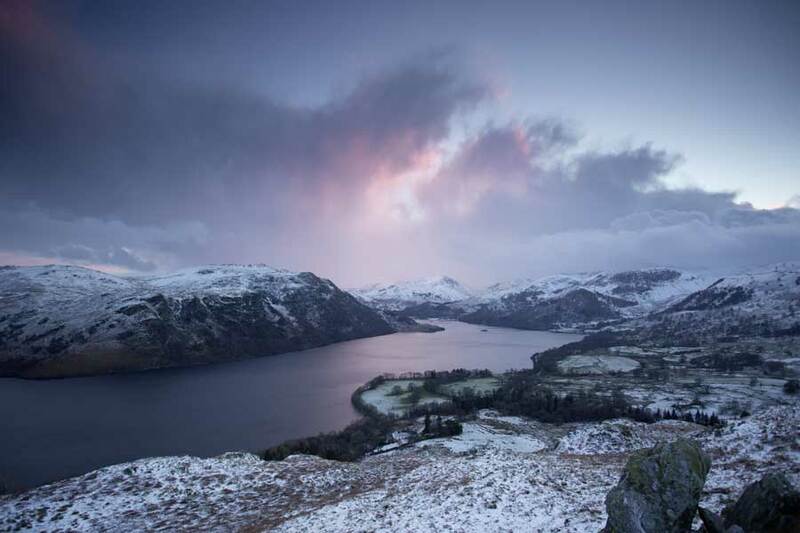 But as Britain's countryside becomes an ever more desirable destination with holiday-makers, more and more people are taking to the hills and mountains and not all of them are prepared. Data from Mountain Rescue for England & Wales (MREW) shows that an increase in visitors results in an increase in accidents on the trails and hillsides. In fact, there were only 14 days in 2016 without a mountain rescue callout in England and Wales. Nearly 500 incidents last year were of the type that lend themselves to being "easily avoided" compared to more serious medical issues or accidents. Such incidents include getting lost, benighted or cragfast, succumbing to minor slips and trips, or for some reason “unable to continue” all contribute to this figure. So here's a quick guide to the basics. Before setting out for your walk or ride, plan your route and check any walking notes you can find. These will highlight topographical features and sights that will help guide your step. Make notes on a map with anything you want to remember, so you have the information to hand when you need it. Also, be generous with your timing so you have realistic ideas as to your resting points. This will give you plenty of time to get back if you do get sidetracked. If you rush, you're more likely to get lost. And what are you rushing for anyway? Take your time and enjoy the outdoors! Intentionally getting lost is a noble pursuit, but if you don't plan to get lost, there's nothing wrong with breaking out a map and seeing where you need to go next. This does require map reading ability though... so make sure you learn how to read a map. Some people look down with scorn upon GPS trackers and other walking gadgets. But they can be very useful to people walking routes they haven't done before. There's nothing wrong with getting a little help from time to time! For the uninitiated, being crag-fast basically means getting stuck and it usually happens to climbers. It's what happens when you can neither ascend nor descend from a crag. The best way to avoid this is to take your time and plan your routes carefully. Don't take chancy risks and try to think a couple of moves ahead. You can also get stuck in the dark. If you become benighted you can end up blundering into all sorts of hazards. So plan your timing carefully too. Getting stuck doesn't just happen to climbers. In fens, sand flats and other places where sudden rising water can cut you off, it can be easy to get stuck. In these places, make sure you do your research. Know when the tide will change and make sure you aren't around when it does. Stumbles and tumbles accounted for well over 50% of all accidents resulting in MREW call outs last year. 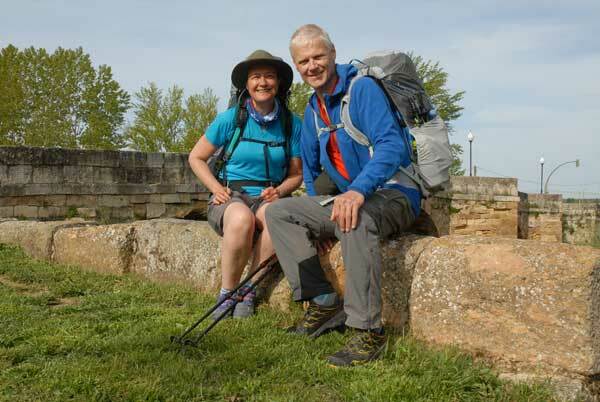 From twisted ankles to broken pelvises, walkers can get into real trouble if they fall over. This is a classic mistake new ramblers make. Make sure you're wearing the right footwear for the job. If you're walking over rough terrain, make sure you have lots of ankle support and decent grippy treads. 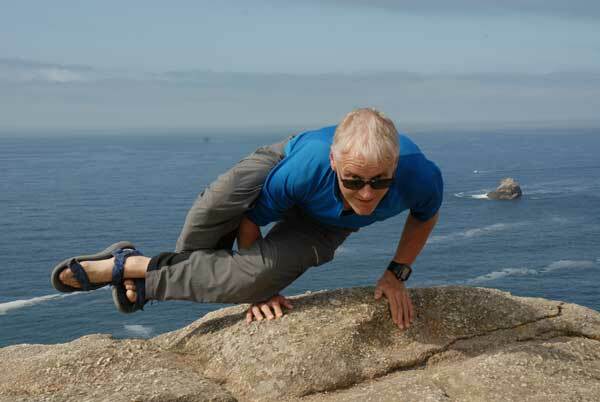 If you're going climbing, wear climbing shoes. They are specifically designed to help you climb, so they're always worth the investment. The easiest way to not fall over is to avoid hazards in the first place. Always watch where you're walking, particularly in craggy areas where loose rock and sudden small crevices are common. Again, take your time and choose your route carefully. Often, a park's designated trail will be well marked and much easier to traverse than just marching across the wilds. It's a safer route that is more likely to be regularly maintained by local groundskeepers and stewards. It is not appropriate to demand or even expect incidents like this to disappear entirely; and nobody wants to see the wholesale discouragement of outdoor adventures. Nevertheless, it is this category of incidents where it is practical to suggest that improvements like these can be made in helping outdoor explorers to avoid getting into trouble through misadventure. If you’ve never heard a landscape photographer extol the vibrant beauty of golden hour, then perhaps you’re hanging around with the wrong kind of photographers. Golden hour is the name given to the period of time when the sun starts to dip above or below the horizon at sunrise or sunset. It’s called as such because the quality of light turns to a brilliant gold hue, capable of totally transforming an ordinary landscape into a jaw-droppingly good photo. The most important aspect of capturing that all-important golden light is being in the right place at the right time. Without careful planning, you can run the risk of turning up to a location ten minutes after all the action has happened. The best way to prepare for success is to find out exactly when sunrise or sunset is due, and then ensure that you’re there at least half an hour before the magic will happen. This will give you plenty of time to set up your kit and find the perfect composition. It’s easier than ever to find out what time you need to be at your location. Even simply typing in ‘sunset time’ into Google will provide you with the exact time the sun will dip below the horizon in your location on that day. However, if you don’t want to leave anything to chance, then why not download an app like PhotoPills or Photographer’s Ephemeris? Not only can you look into the future to plan upcoming photo trips, but you can even view maps of your desired location to find out which direction the sun will be rising or setting. Once you’ve arrived at your location, with plenty of time to spare, you need to set up your kit. While golden light is notoriously beautiful, it can also be a bit tricky to capture. It’s often said that the eye is the most sophisticated camera in the world, and this is because we can see both brightly lit areas and dark shadows (in the same view) without a problem. However, many amateur cameras can struggle under these conditions, as they can’t expose for both extreme highlights and shadows. This is why the Fujifilm X-T2 is such a great companion for landscape photographers. Its high dynamic range (the measurement between the whitest whites and the blackest blacks) means that it can comfortably capture bright highlights and dark shadows without losing key details. To ensure that you get the perfect exposure, it’s always best to expose for the highlights (i.e. the brightest areas), as it’s much easier to pull back detail from shadows than it is from something that’s completely washed out with light. Q What’s the best part of shooting a sunrise or sunset? "In landscape photography the light is everything, and there’s no better time to shoot than at the beginning or end of the day. However, to get good images you need to be shooting well before the sun rises, or continue well after it sets. In fact, the best light is often in that period of about 20 minutes before/after the sun reaches the horizon. Blue hour, the period of time when the centre of the sun is around -5 degrees below the horizon, can often be the perfect time to shoot. During this period the sky is a rich blue, creating amazing photos. However, you have to be quick, as it doesn’t last very long! I’ve just returned from Santorini, where the ‘blue hour’ lasted all of about 12 minutes!" Q How do you adjust your setting to deal with the low light? "When the light levels drop it can be difficult to expose and focus correctly. This means that shooting with a tripod is non-negotiable. This is when I prefer to shoot in manual, so I’ve got full control of my exposure and focusing. I’ll maintain as low an ISO as possible and select an appropriate aperture, so that the shutter speed is the only variable. To do this, I switch my Fujifilm X-T2 to ‘T’ on the shutter dial, and then simply use the rear command dial to change the exposure." Q Do you plan your shoot beforehand? "I always plan sunrise and sunset shoots. They’re fundamentally different, in that you’re either arriving or leaving in pitch darkness. Sunrise is definitely trickier, as you’ll need to have scouted your location beforehand. Otherwise you’ll find it difficult to get the best composition. When planning I use weather forecasts and apps to understand not only sunrise/sunset timings, but also the angle and direction of the sun." Q What happens when you get disappointing golden light? "All the planning in the world is no match for Mother Nature! If the shoot doesn’t work out, then a return trip is the only answer. You have to be pragmatic and accept that sometimes it just doesn’t happen. However, all is not lost! 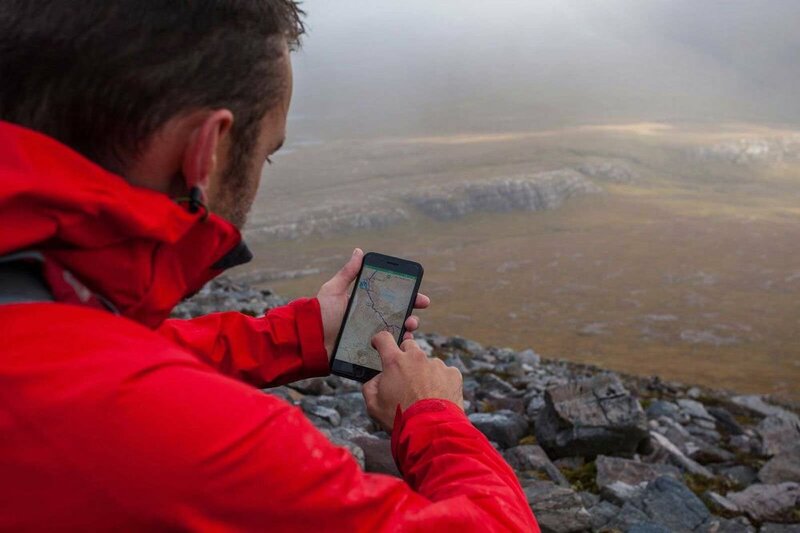 You’ve had a great recce of your location and you’ll know what to expect next time." While camera technology is no doubt the best it’s ever been, the automatic mode is still no match for the human eye and mind. When a camera chooses your settings, you’re losing out on a vital part of the creative process. Photography doesn’t just have to be about composition, it can also be about choosing the right settings for the perfect shot. There are three modes you can use to take control over your camera, manual, aperture priority and shutter priority. Each mode has its own particular uses, especially when it comes to landscape photography. If you’re interested in total control over your exposure, then you’ll want to switch your camera to manual mode. The three main settings that you can control in manual mode are aperture, shutter speed and ISO. Aperture controls how much blur there is in an image. If you’re shooting a portrait, you would want a wide aperture of around f/4, as this would isolate the model and cast the background into blur. However, for landscape photography you’ll want a large aperture of f/16 upwards instead. This will render your shot sharp all the way though your frame. Shutter speed is another essential aspect of the exposure triangle. If you’re working handheld then you’ll need to keep your shutter speed above 1/60sec. If you go any slower than this, then you’ll start to risk camera shake. The narrower your aperture (i.e. the higher the number), the longer your shutter speed will have to be in order to get a correct exposure. This is because the aperture ring inside your lens is a bladed diaphragm that widens and shrinks to adjust the amount of light that comes through. This is why we would call f/4 a wide aperture – because the aperture ring is physically at its widest inside the lens, allowing in lots of light. The narrow apertures typically required for landscape photography make that diaphragm physically smaller, allowing less light in, and therefore requiring a longer shutter speed. The last variable to wrap your head around is ISO. This essentially controls how sensitive your camera’s sensor is to light. The higher the ISO, the more sensitive it is, and the more detail it can capture. This is really helpful in low light conditions, such as sunset or sunrise. However, the unfortunate trade-off is that the higher the ISO, the more ‘noise’ you’ll get in your shot, marring the image quality. Working in manual mode is all about balancing these three variables to create an accurate exposure. However, if you’re particularly interested in controlling either your aperture or shutter speed, and you’d rather not think about the other, then why not use a priority mode. In aperture priority, you can adjust the aperture and the camera will then automatically select an appropriate shutter speed for a correct exposure. Shutter priority mode is a similar process, but flipped around. To make things even easier for yourself, put your camera into Auto ISO to allow it to choose what ISO is best for the situation. Getting there: Innominate Tarn nestles in a small hollow just beneath the summit of Hay Stacks, a near-2000ft mountain in the Lake District. To reach it, take the long footpath that climbs Hay Stacks from the little hamlet of Gatesgarth, and return via the little valley of Warnscale. Why visit? Hay Stacks is surrounded by much larger fells, making it a perfect viewpoint. In the background here are Green Gable, Great Gable and Kirk Fell. The calm sheen of the tarn frames the views perfectly. It is also the final resting place of guide writer Alfred Wainwright, whose ashes were scattered at the tarn after his death in 1991. Q What setting do you typically use for landscape photography and why? "I typically shoot in aperture priority, as I’m looking to control my depth-of-field. Since I normally use a tripod the shutter speed is basically irrelevant to me, unless of course I’m using it for creative effect. I’ll also shoot in manual, especially at the beginning and end of the day when light levels can be tricky and I need to be in full control. The Fujifilm X-T2 allows me to assign the rear command dial to shutter speed when in ‘T’ mode, which means that I can make adjustments without moving my eye from the viewfinder. I’ve also found that the live histogram is absolutely invaluable in ensuring a perfect exposure." Q How has using a manual setting benefitted your photography? "Shooting in manual gives you complete control. When lighting conditions are tricky, or you want a certain feel to the image (such as low or high key lighting), then this is the way to go. Fujifilm cameras make shooting manually a breeze. All of the main controls (aperture, shutter speed and ISO) are laid out on the top plate or around the lens, so it’s incredibly easy to change the exposure and immediately see the result on the LCD screen or in the viewfinder. Of course, you can also check the live histogram for ultimate control of your exposure, ensuring that you retain detail in both the highlights shadows." Q Was there ever a time when you used the automatic setting? If not, why were you never tempted by it? "I don’t think I’ve ever used fully automatic, because then the camera is the one determining the exposure. There’s usually one element that requires management. Whether that’s aperture, which determines your depth-of-field, or shutter speed, which controls the appearance of movement in an image. However, the Program mode (P) can also be a good halfway house, as you have the ability to change the ISO and shutter speed/aperture combination very quickly, which is great for fast-moving situations." Q What would be your camera EXIF data for a typical landscape? "I’ll always try and shoot at the native ISO (the ISO where image quality is best). On Fujifilm cameras this is 200, so that’s always where I start out. I also shoot in RAW rather than JPEG, as this gives me a great quality file with lots more information recorded. My default aperture for landscapes is f/11 or f/8, as that’s typically the sharpest setting. However, sometimes I’ll work with wide apertures if I want to have a creative effect to produce some separation between my main focal point and my background." The beauty of a long exposure landscape can leave any photographer breathless. Rushing water is rendered into a milky texture, while fluffy clouds turn into dramatic streaks of greys and whites. Embracing long shutter speeds is a fantastic way to take your landscape photography to the next level and give it a pro edge. If you’ve set your aperture to its widest, and your ISO to its lowest, and your shutter speed is still too fast, then don’t panic! Filters are an ingenious way to compensate for the bright setting you’re working in. Filters are dark pieces of glass that screw onto the end of your lens. They dramatically cut down the amount of light that hits the sensor, which means that your shutter speed has to be longer. You can buy filters of varying darkness, from a 6 stop (referring to how many stops of light you’ll lose) to a huge 15 stop filter. However, if you’re keen to avoid extra kit weighing you down on your walk, then you may be interested in the Fujifilm X100F. Not only is it one of Fujifilm’s Premier Compact range, but it also comes complete with a built-in 3 stop ND filter. This means that there’s no need to stick an extra sheet of glass in front of your lens (which can compromise your image quality). Instead, simply use this handy feature and reap the benefits of the longer shutter speed required for your shot. While a filter isn’t necessarily a must for long exposures, some form of a tripod is. Remember that if your shutter speed dips below 1/60sec, using it handheld will likely result in camera shake and unwanted blur. However, there are many types of tripods that you can use, depending on where you’re walking and what kind of shot you want. If you’re happy to carry something a bit heavier, a normal tripod is fantastic for being able to choose lots of different compositions. However, if you don’t mind having to work close to the ground, or relying on finding a wall, then why not use a beanbag or mini tripod. While small, these can be incredibly helpful when you don’t want to carry too much weight, but you want to be able to capture beautiful long exposures. For more information about the X100F and other cameras from the X-Series range, please visit www.fujifilm-x.com. Getting there: Padley Gorge lies between the village of Grindleford and the National Trust Longshaw estate, just outside the Sheffield city limits. Why visit? The gorge is a magnificently tranquil place among much wilder country. Above it are the large Dark Peak uplands of Millstone Edge and Stanage Edge, but in Padley Gorge you can be enclosed by picturesque broadleaf woodland, with just the babbling Burbage Brook for company. At the bottom of the gorge is the portal of the Totley Rail Tunnel, which also looks good in photos. By setting the shutter speed to 1/60sec, you can see that the detail in the water is fairly crisp and there’s no motion blur. While capturing running water at a fast shutter speed close- up can have creative results, a wider view just makes the water look dull and uninteresting. A tripod and long shutter speed is a must for this scene! By slowing down your shutter speed to 1sec you can instantly see that the sharp detail in the 1/60sec image has been lost. The water is also starting to gain a pleasing milky effect. If you're shooting in the shade around sunset, or under cloudy conditions, you should be able to get this exposure without using a filter. Now that we've got an exposure of 4 secs we can see that it's totally smoothed out this fast running water. Don't forget that the quicker the water is flowing, the easier it is to get away with not using a ND filter. If you were shooting a trickling stream instead, then you'd need a much longer exposure in order to get this effect. Q When did you first discover long exposures? "As a landscape photographer, introducing movement in my image for creative effect has been a favourite technique for many years. For example, shooting a stream between 0.5sec and 2secs gives a pleasing milky effect to the water. However, true long exposure photography, with shutter speeds from 30secs to several minutes, is a more recent technique. It’s usually achieved through the use of Neutral Density filters. The appearance of smooth water in an image really helps to separate objects. However, remember to take care with your compositions, as simply using a long exposure won’t compensate for a poorly framed photo. Instead, inadequacies will merely be highlighted." Q How have long exposures improved your work? "Long exposures bring a different dimension to photography, and, when combined with a great subject and beautiful light, the results can be stunning. I like to use this technique to bring some variety to my images. When done well, they can also bring great impact in black-and-white." Q How do you achieve a long exposure when the light is too bright? "The introduction of Neutral Density filters has opened up landscape photography at times of the day when we would otherwise be taking a break, or using the hours to explore a location for potential shots. A normal exposure of 1/30sec will translate into 30secs when using a 10 stop ND filter. If the light is still too bright, then you should reduce your ISO to its lowest setting and then select a smaller aperture, such as f/16 or even f/22. However, be aware the image quality can start to suffer at the extreme ends of the lens’ available apertures." Q What’s your favourite subject to take a long exposure of? "Although you can use an ND filter to introduce blur with water, clouds or other moving objects, my preference is definitely shooting long exposures of water. However, there’s a fantastic use for long shutter speeds that not many photographers take advantage of. If you’re at a busy landscape location and there’s a few people walking around in your shot, a long exposure can eliminate them from your final image. As long as they’re moving, they won’t be exposed long enough to register on your camera's sensor." Ever taken a quick shot of an incredible sunset on your phone, then looked at the image afterwards and thought “It looked so much better in real life”? Don’t lose heart, as this disappointment has nothing to do with your photographic skills. As mentioned earlier, camera sensors are simply unable to see things like our eyes do. One of the most important things that pro photographers will consider when buying a camera is how it handles areas of high contrast (i.e. a very bright sun and very dark shadows). Luckily, Fujifilm cameras offer their D-range function (short for dynamic range), which allows you to recover and retain more info in high contrast shots. However, another way to remedy a tricky lighting situation is to use the bracketing and HDR techniques. Simply put, the way this works is that you take around three different exposures of the same landscape and then combine them in Photoshop to create one single perfectly balanced exposure. The first step to this technique is to set your camera on a tripod. As you’ll be combining multiple different images, you won’t want your composition to change. Ensure that you’ve focused correctly and then switch your camera to manual focus, which will make sure it won’t change midway through your shots. Now that you’re ready to start using the bracketing technique, you’ll first need to set your camera to expose for the highlights, i.e. the bright parts of the image, such as the sky. You can do this by intentionally underexposing your shot by one or two stops (+1 or +2). Next, expose for the midtones by ensuring that the marker on your light meter is in the middle. Lastly, capture the shadow detail by overexposing your shot by one or two stops (-1 or -2). The great thing about this technique is that it’s a good insurance policy to ensure you’ve got a workable photo once you get home and load up your images to take a look. Now you may find that you can salvage the shadow or highlight detail in one of your images with some tweaking in post-production, but if you were shooting in a particularly high contrast environment, then HDR is the perfect way to rescue your photo. Standing for ‘High Dynamic Range’, the HDR technique is how you take your three bracketed shots and turn them into one balanced exposure. We’re going to show you how to create an HDR image in Photoshop CC, which is more affordable than ever with monthly payments of £9.98. However, you can also download the free software Luminance HDR if you don’t have access to Photoshop. To begin, open Photoshop and navigate to File > Automate > Merge to HDR Pro. This will then bring up a box with the option to ‘Browse’. Click on this and select the three images you shot using the bracketing technique earlier. Ensure that the ‘Attempt to Automatically Align Source Images’ box is ticked and then press ‘OK’. You may find that it takes a little while for Photoshop to merge your images, especially if you’re using an older computer. Once the program has finished it’ll present you with the amalgamated shot. However, it’ll also provide you with a series of options to increase the quality of your final image, including ‘Remove Ghosts’ (which will reduce any discrepancies in a moving subject, such as clouds), or the ‘Curve’ tab, which allows you to adjust the contrast. Play around with these options until you’re happy with the results and then click ‘OK’ at the bottom for your final HDR photo. Shooting into the midday sun makes getting an even exposure impossible, so this is the perfect candidate for HDR. Expose for the brightest part of the image in your first shot. The next step is to ensure that the midtones in your image have been properly captured. Simply make sure that the marker on your light meter is in the middle for this shot. Now that the three incorrectly exposed shots have been combined together in Photoshop, we have a perfectly balanced exposure that makes for a beautiful landscape photo. Q How often do you use HDR and bracketing? "Bracketing a series of shots to capture a range of exposures, containing the highlight, mid-tone and shadow detail, has become increasingly popular over the past few years. Advances in post-processing software now makes it much easier to blend these exposures seamlessly together. While I try and get the exposure right in camera by using ND graduated filters (ND filters that graduate from dark glass to clear, which allows you to expose for a bright sky and dark foreground), sometimes it just isn’t possible. In these situations, I usually use the very good Extended Dynamic Range feature on my Fujifilm cameras, but I also occasionally resort to shooting a bracketed set of exposures as well." Q What’s the most useful aspect of this technique? "When the dynamic range in a scene is just too much to capture in one single frame, bracketing a series of shots enables me to capture all the tones required to produce a well-exposed image. This is especially useful if I don’t happen to have my filters with me, which I sometimes don’t if I’m just enjoying a nice country walk. Using this technique does require the photos to be shot one after the other, so a tripod is definitely recommended to get the best results." Q What format do you shoot in? "I shoot virtually all my images in the RAW format, because I want the best quality file possible (RAW files contain around 3x more information than JPEGs!). It also allows me to have maximum flexibility when post-processing my images. I do sometimes shoot JPEG by default when I choose a different format in the viewfinder. The Fujifilm XT-2 allows me to select Image Quality RAW and JPEG, and then Image Size, where I’ll then often choose 1:1. Although you can guess what a square crop will look like, having the ability to frame this accurately in this way really helps." Q How does your Fujifilm camera make bracketing easy? "The X-T2 Auto Exposure bracketing can shoot 3, 5, 7, or 9 frames with anything from 1/3 stop to 3 stops (of light) inbetween. My preference is usually for either 3 or 5 frames, which will mean one frame shot as the base exposure, then two frames 1 and 2 stops over-exposed, then two frames 1 and 2 stops under-exposed. You can choose the order in which they’re shot, and my personal preference is to shoot for highlights, mid-tones and then shadows." In the second part of our guide to better landscape photographs we reveal three of the UK’s most photogenic landscape locations, how to get to them and how to capture the best photos when you arrive. In the second installment of our photography improvement course, we’ve been busy scouting out some of the very finest British countryside and photogenic walks you can go on around the UK. To help you get the best possible pictures when you get to your picturesque peak, or sublime summit, we’ve constructed a comprehensive list of tips and tricks to help you shoot in all scenarios and weathers. So if you’re presented with a stunning sunset, we’ll show you how to tame the light to stop your images overexposing. And if you get caught out in a ferocious downpour, we’ll show you how to harness the raw emotion of a storm in a moody mono landscape. So get out there, get shooting, just don’t forget to take this guide with you! One of the easiest tweaks you can make to your composition that has a huge benefit, is to level up your picture. A wonky horizon is instantly noticeable and will detract from even the most stunning landscapes. But it’s an easy fix. Hotshoe bubble levels attach to your camera so you can see when the camera is level, or even better, use the electronic level that most modern digital cameras come with built-in. If you do forget to level up at the point of capture don’t worry – you can level-up in post-processing too. 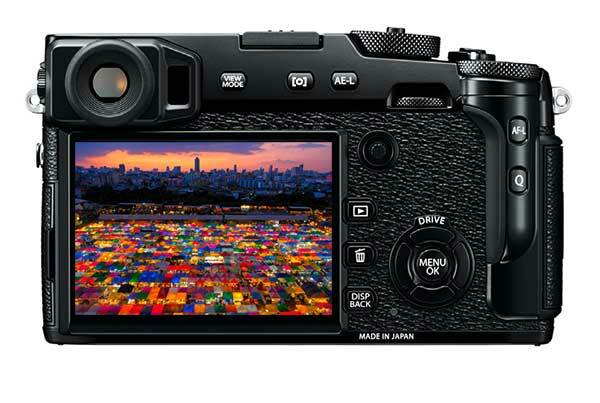 Use Live View: Many Fujifilm X-Series cameras come with a built-in electronic level that makes it easy to get a straight horizon. The beautiful golden tones of a sunset or sunrise can look magical, but it’s difficult to capture the scene you saw as a digital image. It’s best to shoot in the RAW image format, rather than JPEG, to record as much of the exposure data as possible. This makes it possible to use software back at your computer to get the deep shadows and bright highlights that you saw at the time. The golden colours of these types of images also look better when you underexpose the shot a little, as this stops the picture from overexposing. To do this, dial in one or two stops of negative exposure compensation. If your landscapes are looking a little washed out and flat, it could be because the sun is in the corner of the frame causing lens flare. If this is the case, attach your lens hood to the front of your lens. This blocks out the light from the corners of the shot, restoring contrast and increasing saturation. Blurring the clouds in your sky, or cascading water in a waterfall, is a fantastic way of adding drama to your landscapes. All you need is a tripod and a long exposure to give the sensor enough time to record the movement. To set the exposure, use your Aperture priority mode and dial in your highest aperture value, usually f/22, to restrict the lightflow. Then set the ISO to around 100 to reduce the camera’s sensitivity to light. The result is a much longer exposure, and on an overcast day you should get a shutter speed of around one second. You can also use special neutral density (ND) filters which block out even more light for longer exposures. It’s all-too-easy to put your camera away when you come across inclement weather, but this need not be the case. Some of the best images are taken in fog or heavy rain – it really adds bags of atmosphere. In these scenarios, shoot with Black & White in mind to create a moody mono landscape. Many cameras have built-in presets that let you see what the image will look like in Black & White on the LCD screen. Fujifilm’s Acros Filter Effect gives images a brilliant high contrast mono style. Polarisers: Letting in more or less polarised light can help you add contrast to blue skies, and reduce glare. The effects of many physical filters that attach to the front of your camera’s lens can be replicated in software like Fujifilm’s Silkypix, or Adobe Photoshop. This includes correcting the exposure and enhancing colours. But one effect that cannot be easily mimicked back at your computer is that of a polarising filter. These filters have a ring that can be twisted to let in more or less polarised light and has two main benefits for landscapes; reflections in water can be reduced, and contrast can be increased in the sky between white clouds and the blue sky. to squeeze in broadspanning landscapes. Wide-angle lens: A lens with a wide angle is ideal for shooting stars, as it helps you fit in some foreground interest. Light is limited at night, so you’ll need a tripod to lock your camera off and then use a long exposure. 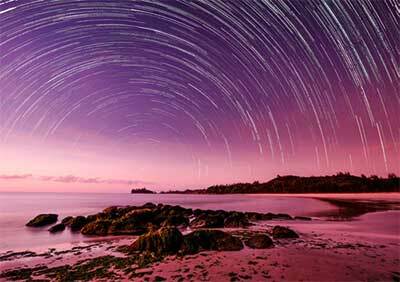 10-20secs is perfect, any longer and your stars will blur due to the Earth’s rotation. A wide–angle lens, like Fujifilm’s XF10-24mm f/4, is ideal for capturing some foreground interest like a tree, millstone or barn with the stars in the background. Go into your camera’s manual mode and dial in the widest aperture, an ISO of 800 and a shutter speed of 10secs. Engage the 2sec Self-Timer and take a test shot. If it’s too bright, lower the ISO or shutter speed, and if it’s too dark increase them until it looks good. It’s best to shoot at least a full hour after the sun has set on the night of a new moon to achieve the deepest skies in your shots. Shoot a landscape with a bright sky and snowy white foreground, and your camera will likely underexpose. This will give you a much darker shot and your brilliant white snow will look muddy. To keep your snow white, take a test shot and if it turns out dark, simply apply a stop or two of positive exposure compensation to force the camera into taking a brighter image. Getting there: This distinctive mini-mountain sits just north-east of the village of Great Ayton, at the edge of the Cleveland Hills in North Yorkshire. This photo was taken from Roseberry Lane, the main access to the hill from the A173. Why visit? 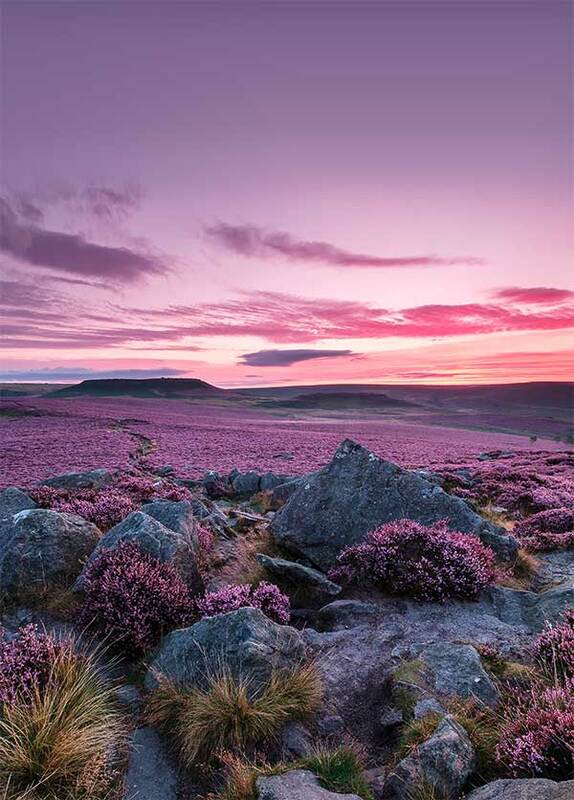 Roseberry Topping is a photographer’s dream. Its shapely cone provides intriguing lines from every angle, while the sandstone outcrops of the summit offer a perfect contrast to pure-white snow (or to the grass and heather of the hillside at other times of the year). Easy paths lead up to it, as does a detour spur of the famous Cleveland Way National Trail. JPEG: The scene looks quite flat, is underexposed and has a blue int to it. RAW: The exposure and blue tint have been fixed using the extra data that RAW files contain. RAW literally means the raw information from your camera. Unlike JPEGs, which are processed in-camera, RAW files are untouched at the point of capture, so it’s up to you how much saturation or contrast you add back at your computer. RAWs are larger than JPEG images, so will fill up your memory cards faster, but this is a small price to pay. Their extra information makes it possible to change the exposure of your shot substantially when you’re editing your pictures. This means if you get home and find out your image is over or underexposed, it’s easy to fix with RAWediting software like Fujifilm’s Silkypix or Adobe Photoshop. Using lead-in lines is a great way to guide the viewer’s eye towards a specific focal point in your images. Lead-in lines appear both in the natural world and in man-made objects, from a line of trees going up a hillside, to a paved footpath. Try to frame your composition so that multiple lead-in lines point the eye towards the main focus of your shot, rather than take it out and away. Getting there: Sitting at the southern tip of diamond-shaped Anglesey, Llandwyn is only accessible on foot from the village of Newborough, through the dunes of Newborough Forest. Why visit? Aside from the incredible views, fascinating geology, red squirrels and abundant marine life, this tiny tidal island is also rich in folklore. It’s associated with St Dwynwen (Llandwyn means ‘church of Dwynwen’), the Welsh patron saint of lovers, who prayed for the happiness of lovers after a run-in with a nasty chap called Maelon. It’s said she lived as a hermit on the island in later life. Aperture priority: Use the aperture priority mode on your camera, denoted by an A, or Av. The automatic modes are great for starting out with your camera; you can focus on the composition of your image, while the camera works out your exposure settings. But to take more control, it’s best to use a semi-automatic mode like aperture priority. This is really easy to set on Fujifilm’s retrostyled mode dials, and is denoted by a bright red A, so can be changed quickly when you’re in a hurry. This mode lets you set the aperture – an adjustable hole inside your lens that can be adjusted to let in more light for a fast shutter speed, or can be closed down for longer exposures. There’s no shame in using your camera’s automatic mode. It’s sometimes more convenient and you’re eager to take the shot before the moment passes. But this often means the camera chooses the focus area too, so your point of interest could come out blurry! For landscapes it’s much better to choose the focus area yourself, by setting your camera to its single point or single servo AF mode, then placing the active AF point about one third of the way into the scene for the best sharpness. Then use aperture priority to set an aperture of f/16 for a much stronger depth-of-field and increased sharpness. You need only venture outside to open up your photographic opportunities. But the great outdoors isn’t just fantastic for landscapes. When you immerse yourself in nature you can get some brilliant wildlife pictures too. Bring along a lens with a long zoom, such as Fujifilm’s XF50-140mm or XF55-200mm, for frame-filling shots of nearby wildlife such as squirrels, deer or birds. 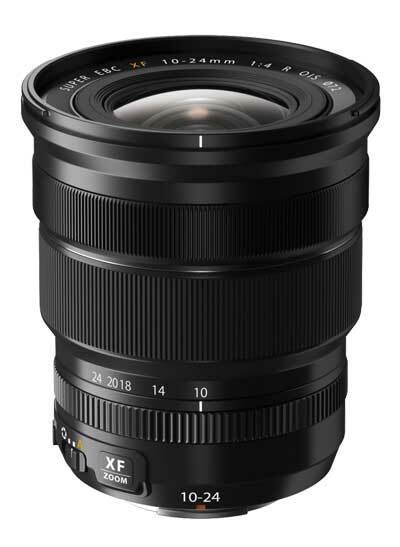 If you only have space for one lens, look out for optics like Fujifilm’s XF18-135mm, which has a versatile zoom range suitable for a wide range of subjects. Pocket power: Fujifilm’s X100F is astonishingly compact and lightweight, but boasts incredible image quality that rivals DSLR cameras. A heavy kitbag will wear you out quickly and potentially cut short your journey to an awesome landscape location. It really pays to travel as light as possible, so Fujifilm’s range of Compact System Cameras are a great, portable alternative to DSLRs. The firm’s ultra-portable X100F prestige compact has a fixed 23mm f/2 lens and weighs an impressive 469g with battery and memory card, making it the perfect travel companion. 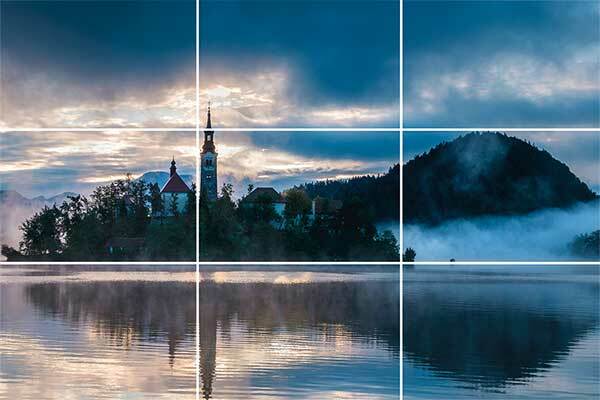 The rule-of-thirds is a great framing technique where you divide your image into nine equal boxes and position your subject on one, or more of those intersecting lines. This is said to be more pleasing on the eye and engaging than placing your subject right in the middle of the frame. It’s also worth considering the rule-of-odds when you’re composing. The theory is that an odd number of subjects in your scene looks more aesthetically pleasing than an even one. So, if the subject in your landscape was a tree, the landscape would look more pleasing with one, three or five of them in the frame, than two, four or six. In rare scenarios, it may be the case that a different framing works better for the landscape at hand. So, once you’ve tried composing using the rule-of-thirds, and the rule-of-odds, from the previous tip, it’s worth experimenting with other framing options too. Rules are meant to be broken, so have fun finding abstract compositions. Telephoto lenses are usually reserved for far away wildlife subjects but can be useful for creating a tighter ‘scene within a scene’ in landscape images. Getting there: This picturesque stone bridge sits just beside the more modern bridge that carries the A87 across the Allt Dearg Mor river, just beside the famed Sligachan Hotel. Why visit? This is the perfect place to capture the spectacular spears of the Cuillin Ridge at their best. In the distance are the serrated peaks of Sgurr nan Gillean, Am Basteir and Briach na Frithe. All of them are difficult to get to and challenging to climb, but from here you’re within comparatively easy reach of the Skye Bridge from Kyle of Lochalsh. And assuming the peaks are visible, they should look stunning. The cameras in our round-up are super light so you can travel further and take great photos in hard-to-reach locations. Fujifilm’s X-Series cameras are ultra portable and ideal for hillwalking adventures. In the first part of our guide to better landscape photographs we explain what to look for in a travel camera. Hillwalking takes you to all sorts of amazing photogenic places, but how do you capture the beautiful landscapes and memories of your walks when you’re out and about? Many of us use a smartphone because they’re conveniently light and portable, but this means image quality can be left looking a little lacklustre. So we’ve teamed up with Fujifilm to provide you with the knowledge to get better landscape images, how to get to amazing locations and what settings you need to know to get them. We kick off our three-part guide looking at the gear you’ll need to get better photos. Fujifilm’s X-Series cameras are considerably lighter and smaller than conventional Digital SLR cameras, so they won’t weigh you down when you’re out on a long hike. Use the jargon buster below to get to grips with the terminology and then discover which camera is your perfect travelling companion. Megapixels - This is the resolution of the camera’s sensor and determines how large you can print your shots. Fujifilm’s 24.3MP sensor can print at up to 42.33x63.5cm. OIS - Optical Image Stabilisation is a special feature that some lenses adopt to reduce camera shake when shooting hand-held. EVF - Electronic Viewfinders are what mirrorless cameras use to show you what the camera will take a picture of. RAW - This file type literally means the raw data from the camera. Any camera worth its salt gives you the option to shoot RAW for more options when you’re editing. JPEG - The universal digital picture file format that provides a good balance between low file size and great quality. CSC - Compact System Camera. Does away with the moving mirror which makes SLR cameras big and heavy, but still has interchangeable lenses. If you're torn between DSLR image quality and the portability of a compact camera, then the X100F is the perfect choice for you. Its 24.3MP APS-C X-Trans CMOS III sensor is the same size as those you’d find in a much larger DSLR, but has been wrapped up in a portable, retro-styled package. Tipping the scales at 419g (body only), the X100F is ideal for photographers that like to pack light. 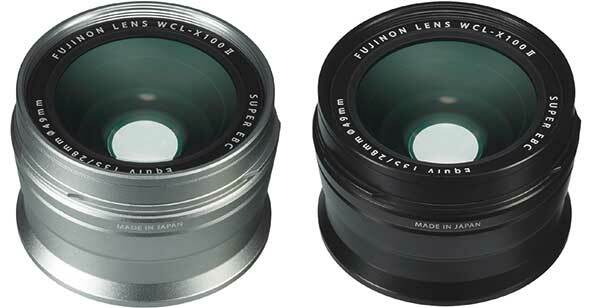 There’s also no need to carry around extra lenses as it sports a fixed 23mm f/2 Fujinon lens, perfect for landscapes. Sure to be a hit with fans of vintage film camera chic, the X100F fuses old retro styling with new technology for a truly special user experience. It provides some remarkable features, including an Advanced Hybrid Viewfinder, which gives users the choice of a traditional low-power optical viewfinder, or an electronic display, to show you what the exact image is that you’ll capture. This even works if one of Fujifilm’s Film Simulation filters is active, such as Sepia or Acros. The retro-styling continues with its faux leatherette grip and an ISO dial which has been integrated into the Shutter Speed Dial to save space. Lighting is key to all genres of photography, but is particularly important to landscapes because the range of tones is vast. Bright highlights in the sky can burn out to pure white, while deep shadows in the foreground can come out black. Neutral Density (ND) filters act like sunglasses for your camera, and are what professional photographers use to tame bright highlights and balance the exposure. While these are bulky and often require filter adapters to affix them to the camera lens, the X100F comes with a three-stop ND filter built in. This is a great feature, as if the highlights come out too bright you can activate the built-in ND filter to fix it. What’s more, if you shoot in the 14-bit RAW format you’ll be able to capture even more tones, unlocking the full potential of your shots. + DSLR-rivalling image quality with its 24.3MP APS-C X-Trans sensor. + Staggering number of features in a neat portable and lightweight package. + Fixed 23mm f/2 lens is superbly sharp and ideal for landscape photography. Two customisable command dials have been positioned at the top of the hand grip on the front and back, allowing you to adjust your favourite functions quickly. The f/2 maximum aperture floods the sensor with light, making it possible to get faster shutter speeds and reduce camera-shake when taking pictures hand-held. A dedicated autofocus joystick to the right of the rear LCD speeds up the process of positioning your active autofocus area to one of the 325 different AF points. The X100F has a fixed wide-angle lens, but if you need a different focal length there are two optional conversion lenses that give you a 0.8x or 1.4x zoom. The ISO dial has been incorporated into the Shutter Speed dial on the top plate, adding to the X100F’s retro aesthetic. Essential settings can be changed quickly using the Shutter Speed, ISO and Exposure Compensation dials. The shutter release has been integrated into the power switch which makes it easier to turn on and get shooting when you’re in a hurry. The X-T20 is a portable alternative to an entry-level or enthusiast DSLR. As a compact system camera, it has no internal mirror, meaning it can be much smaller and lighter than a conventional camera. Despite its petite proportions, it packs a solid punch with its DSLR-sized X-Trans CMOS III APS-C sensor. The resolution of 24.3MP is nothing short of vast, and teamed with its X-Processor Pro engine, bursts can be shot at up to 8 frames per second (fps). The active AF point can be set to no less than 325 different areas and the middle 40% of the frame consists of Phase Detection points for faster subject acquisition. The rear 3in display boasts 1.04m-dots so images can be composed and played back in stunning detail. Touch functionality makes tapping to focus possible, and you can swipe through the images you’ve taken in Playback Mode too. To top it all off, the LCD can be tilted to assist with awkward shooting angles above or below eye level. If you prefer to shoot through the viewfinder, the X-T20 has a highly-detailed electronic 2.36m-dot organic EVF. And with a lag time of 0.005sec it feels like you’re using an optical one. If you’re struggling to fit in all of the scenery in front of you, it’s possible to switch to a wider lens because the X-T20 is an interchangeable lens camera and can be used with any of Fujifilm’s X-Mount lenses. Alternatively, you could use the X-T20’s Panorama Mode which squeezes in up to an 180° view. Video is an area where the X-T20 excels. Its 4K movie mode packs in four times more detail than Full HD, so it’s a great way to make your footage stand out from the crowd. Fujifilm’s legendary Film Simulation digital filters can also be applied to your videos and photos. The Interval Timer mode is another great video feature and can be set between 1sec to 24hours. The total number of frames can be set from 1 to infinity, so is fantastic for creating dramatic timelapse videos wherever you are. + Brilliant autofocus system with 325 AF points to choose from. + Great features including 4K video recording and a 14fps burst rate. + Supports Wi-Fi connectivity with the Fujifilm Camera Remote app. Taking on Fujifilm’s top-end X-Processor Pro, the X-T20 can autofocus rapidly and record movies in 4K for stunning video quality. Taking on a large APS-C X-Trans CMOS III sensor, the X-T20 produces image quality comparable to enthusiast DSLRs, in a much smaller package. The detail of the display is breath-taking, boasting a resolution of 1.04m-dots. It also boasts touch technology and can be tilted out to help you shoot at awkward angles too. The X-T20 sports an EVF with amazing clarity, providing a realistic alternative to the LCD screen if you prefer to compose this way. The X-T20 is a portable compact system camera with a body weight of just 333g. Its slender dimensions make it easy to fit in a bag or rucksack. The top of the X-T20 is ergonomic, positioning the shutter release button inside the power switch, and placing the shutter speed and exposure compensation dials within easy reach of your thumb. The X-T2 is a professional mirrorless interchangeable lens camera, designed for speed, performance and astounding image quality. As a pro-level camera, the X-T2 has a tough and rugged build ready for whatever you throw at it. Its durable magnesium alloy body is weathersealed in no less than 63 different areas. And it comfortably handles hot and cold climates with its operating temperature of -10°C to 40°C. The handgrip has been designed for increased comfort and will make it feel familiar to DSLR users. Fujifilm’s X-Processor Pro paves the way for a blisteringly fast 14fps RAW burst mode, a start-up mode of just 0.3sec, 4K video recording and an improved autofocus system which can hunt down a subject in just 0.06sec. Speaking of focusing, the X-T2 uses an Intelligent Hybrid AF capable of acquiring focus in low-light situations at up to -3EV, and has 325 AF points at its disposal. Inside its tank-like body you’ll find Fujifilm’s 24.3MP X-Trans CMOS III APS-C sensor. This is physically the same size that you’d find in many enthusiast DSLRs, but its X-Trans technology provides a more organic capture of colour and helps to combat moiré, an imaging defect that can appear on repeating patterns within your shot. The high resolution makes it possible to comfortably print images at A2 size, and because the sensor omits an image-softening Optical Low Pass Filter (OLPF), your pictures will take on an extra level of detail. It’s not just a solid image-taking machine though, the X-T2 is also fantastic for recording movies. The jewel in the crown of the X-T2 is its superbly detailed 1.04m-dot LCD display, which boasts toughened glass to protect against knocks and bumps, touch functionality for tap focus, and an innovative tilting mechanism that allows it to be adjusted on three different directions to make it easier to compose images above or below eye level. If you prefer to use a viewfinder, the X-T2 has a richly-detailed EVF (Electronic Viewfinder) which activates instantly when brought up to your eye and refreshes at up to 100fps. + Weather-sealed in 63 areas allows you to shoot in a heavy downpour. + Ergonomic button layout and feels like a DSLR in the hand. + Movies can be shot in the 4K video format for astounding detail. The solid magnesium alloy body is weather-sealed in 63 points and operable in temperatures as low as 10°C, so you can keep on shooting no matter what the weather throws at you. The 24.3MP APS-C X-Trans CMOS III sensor delivers astounding DSLR image quality when paired with any of Fujifilm’s X-series quality Fujinon lenses. Images can be composed with either the highly detailed 2.36m-dot Electronic Viewfinder or using the 3in 1040k-dot tilting touchscreen. The X-T2 sports a native ISO of 200-12,800, and can be expanded to a staggering 100-51,200 using the dial on the top. Just like all professional cameras, the X-T2 features a hotshoe for attaching flashguns, triggers, microphones and other accessories. The X-T2 can shoot high-quality 4K video to capture every detail of your surroundings. Fujifilm’s built-in Film Simulation modes can also be used when recording movies. 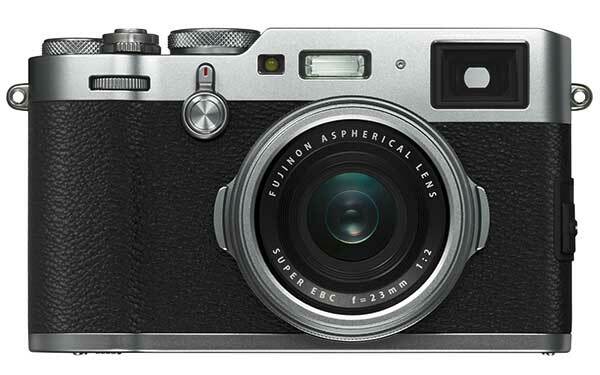 Fujifilm's latest Compact System Camera, the X-E3, is built with portability in mind. It’s the firm’s smallest and lightest model to date that boasts both an interchangeable lens system and a viewfinder. Some impressive features have been squeezed into its petite body, including the 24.3MP X-Trans CMOS III APS-C sensor found in all of the current X series models. This yields fantastic image quality even in low light conditions. It also adopts Fujifilm’s remarkable X-Processor Pro which allows a top shooting speed of 5fps and makes it possible to record 4K videos for incredibly-detailed movies. Bluetooth is a brand-new feature for X series CSCs, and it allows users to transfer images from the X-E3 to a smart device in a heartbeat, using the free Fujifilm Camera Remote app. It uses the same X-mount as other Fujifilm CSCs, so is compatible with the current range of 25 Fujinon interchangeable lenses. It has a start-up time of just 0.4 seconds and takes just 0.06 seconds to track down a subject so you’ll never miss a shot. In addition, the tracking autofocus speed for moving subjects is twice as fast as its predecessor. Focus can be set by tapping the touchscreen, just like you would with a smartphone, or using the Focus Lever which sits to the side of the LCD and makes it easy to set the focus area without looking away from the EVF. 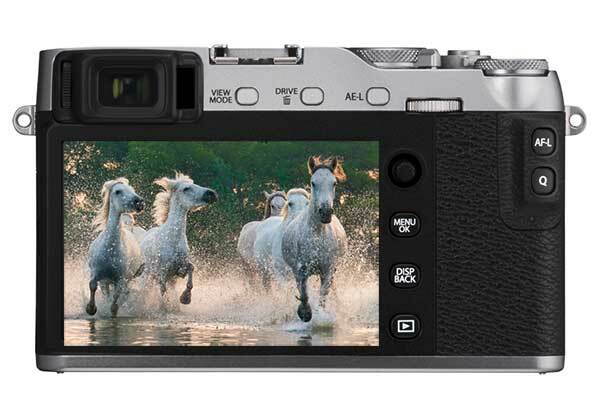 The X-E3 has a premium exterior design. Taking on the style of old film rangefinders, the Electronic Viewfinder on the back is great if you prefer to compose this way, or if the sun is too bright to see the LCD screen. The top of the camera has been kept simple and uncluttered with its Shutter Speed and Exposure Compensation dials that let you hone in core settings quickly. There’s also a hotshoe for attaching a flashgun or microphone accessories and a Function button that you can personalise to really make the camera your own. The shutter button has been integrated into the power switch for a rapid start-up too. + Bluetooth connectivity makes it quick and easy to transfer images to a smart device. + Touch functionality makes the X-E3 handle more like a smartphone or tablet. Adopting Fujifilm’s X-mount, users will benefit from the established Fujinon lens range which is currently 25 lenses strong and still growing. 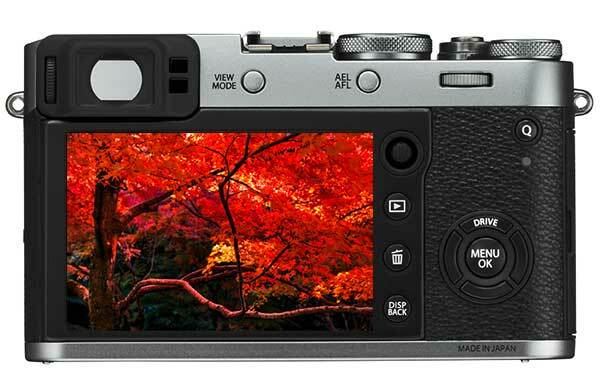 Breaking new ground, the X-E3 is the smallest camera in Fujifilm’s X series to feature both an interchangeable lens system and a viewfinder. 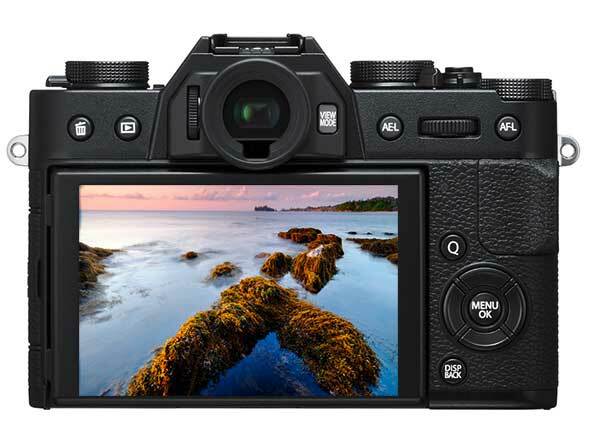 New touchscreen technology has been built into the X-E3, allowing users to tap to focus or swipe through images like on a smartphone. Built for speed, the X-E3 has a start-up time of just 0.4 seconds and can lock onto subjects in a blistering 0.06 seconds. It also boasts a rapid topburst rate of 8fps. The X-E3 is the first X Series model to feature Bluetooth functionality, which allows users to transfer images quickly and easily to a smart device. The top has been kept simple, adopting Shutter Speed and Exposure Compensation dials and a hotshoe to attach accessories. Charmingly retro-styled and packed with innovation, Fujifilm’s flagship X-Pro2 is the long-awaited update to the highly regarded X-Pro1. Building on its success, the X-Pro2 comes brimming with new features, including a totally revamped Advanced Hybrid Multi viewfinder. This incorporates an Optical Viewfinder, Electronic Rangefinder and a 2.36m-dot, 0.48in Electronic Viewfinder, so you can choose your preferred mode depending on the subject you’re shooting. Built with professionals in mind, the durable magnesium alloy body is sealed in 61 places to keep dust and water out. Inside sits a 24.3MP X-Trans III sensor to delivers DSLR image quality, and an X-Processor Pro for a speedy 8fps burst rate, native 200-12,800 ISO range and a rapid Intelligent Hybrid AF system. 14-bit RAWs can be shot to capture every detail in your landscapes, and can shoot in a new Lossless Compressed file format to save space. As expected with a flagship model, the X-Pro2 comes with dual SD card slots. This can be set up in the menu to overflow your shots when one card becomes full, backup a card like-for-like, or to separate your RAW and JPEG images onto different memory cards. The speed of the X-Pro2 has been shifted up a gear, boasting a start-up time of just 0.4sec and an autofocus acquisition time of just 0.06sec. It has an extra 28 AF points, with 77 in total and 40% of the imaging area is covered in the faster and more accurate Phase Detection type points. There’s the option to use a Colour Digital Split Image mode which works in a similar way to the focusing system of film rangefinders. There’s also the option to use Focus Peaking, where a bright colour overlays your shot to show you which areas are sharp. As the viewfinder is an integral part of the X-Pro2’s DNA, the buttons and dials have been positioned in a way that means you can easily change settings and exposure parameters without taking your eye away from it. 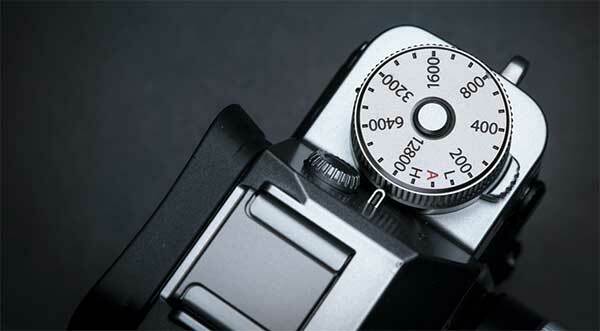 This includes the Dual-Function dial on the top plate, which can be used to set both the ISO and the Shutter Speed. + The 24.3MP APS-C X-Trans CMOS III sensor delivers incredible image quality. + State-of-the-art Advanced Hybrid Multi viewfinder makes it a joy to compose. + Perfect blend of style and substance, fusing retro-chic with innovative new features. Featuring two SD card slots, users can keep on shooting when one card becomes full, use the secondary slot to back up the first card, or separate your RAW and JPEGs on to different cards. The hardy magnesium alloy body is made to stand up to professional use and has 61 weatherproofing seals to keep out dust and water, so you can keep shooting even in poor weather. A brand-new Focus Lever sits to the right of the rear display allowing rapid placement of your active AF point so you never miss a moment. You can use three different viewfinder modes depending on which suits your shooting style. There are 15 Film Simulation modes that will help give your shots a distinctive, retro style. Including the brandnew Acros mode which produces striking black and white images. The X-Pro2’s exposure compensation dial sits within easy reach of your thumb when holding the grip. So it’s easy to fine-tune your exposure when you’re in a hurry. An ultra-wide lens helps you squeeze more of your surroundings into the frame, so Fujifilm’s XF10-24mm f/4 wide-angle zoom is a brilliant choice for landscapes. It has a 35mm film equivalent focal length of 15-36mm, and its 2.4x optical zoom gives users the option of shooting wide, or super-wide. It’s not always ideal to carry a tripod when you’re out and about, so you’ll be glad to hear that it boasts powerful Optical Image Stabilisation (OIS) to reduce camera-shake when shooting hand-held. It has a bright maximum aperture of f/4 which is constantly the widest aperture value at both ends of the zoom. It also has an inner focusing system and stepping motor for a rapid and quiet autofocus action. The minimum focusing distance of 24cm is ideal for nature macro images. Clarity and sharpness are impressive across the whole frame at both ends of the zoom, even when shooting at a widest aperture setting of f/4. 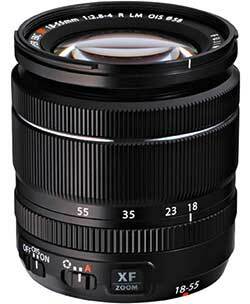 18-55mm is an ideal focal length for many shooting scenarios, and as such many kit lenses adopt this zoom range. This XF18-55mm is essentially a ramped-up kit lens, taking on a much wider aperture value of f/2.8 at the wide 18mm end, and f/4 at the telephoto 55mm mark. This allows better light gathering for faster focusing and shooting at faster shutter speeds. Autofocus can be achieved in just 0.1sec, so you’ll never miss a moment. 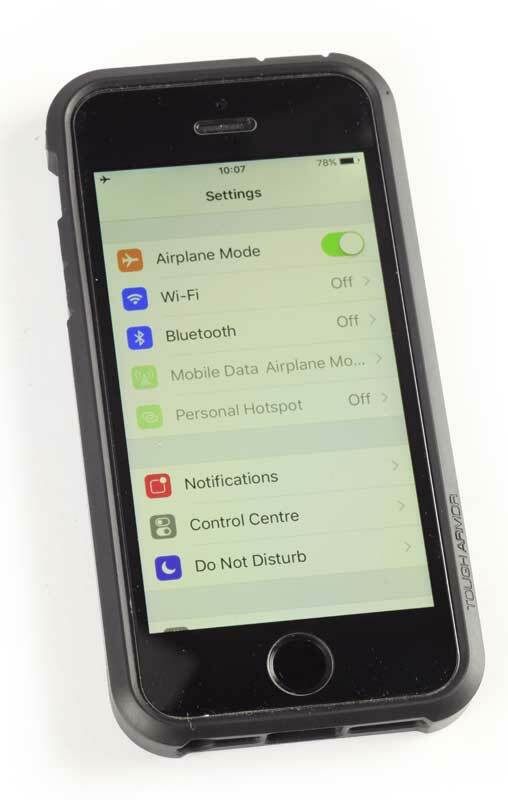 The AF also has a silent operation so it’s suitable for video recording as well as taking photos. The aperture is made from a seven-bladed round diaphragm for smoother, circular bokeh (out-of-focus highlights) too. Optical Image Stabilisation (OIS) has been included for shake-free shots when shooting hand-held. Fujifilm’s XF18-55mm f/2.8-4 R delivers fantastic image sharpness, colour and contrast throughout the zoom range. If you like to cut down on weight and bulk, then it can be a good idea to travel with just one lens. An optic with a versatile zoom, such as Fujifilm’s XF18-135mm f/3.5-5.6, boasts an 18mm wideangle perfect for landscapes, and a long telephoto 135mm zoom, great for getting tighter compositions or shooting nearby wildlife. Its WR badge means the lens is fully weather sealed, so you can carry on shooting even if the heavens open. Camerashake is magnified when shooting at longer focal lengths, but fear not as this lens implements a comprehensive 5-stop Optical Image Stabilisation (OIS) system to combat blur and produce crisp images. Large zoom and focus rings around the lens barrel make it feel comfortable and secure in your hand too. The XF18-135mm has great clarity with low distortion. Its versatile focal length makes it ideal if you only have space for one lens. Need to get closer to your subject? You need look no further than Fujifilm’s XF55-200mm f/3.5-4.8. The zoomis equivalent to 84-305mm in film terms and complements an 18-55mm kit lens. It’s ideal for shooting long lens landscapes, far away wildlife or macro shots like insects. Built for superb image quality, the XF55-200mm f/3.5-4.8 features an array of Fujinon’s low dispersion (ED and Super ED) elements to increase clarity. There’s a large zoom ring around the lens barrel which makes the lens comfortable to use and easy to change the focal length when you’re in a hurry. The manual focus ring is easy to find, placed at the front of the barrel, and a powerful 4.5-stop Optical Image Stabiliser (OIS) system reduces camera-shake when you’re shooting hand-held. The XF55-200mm f/3.5-4.8 produces great quality and is an ideal focal length for shooting long-lens landscapes or wildlife. Composition is key to creating fantastic landscapes. The rule-of-thirds is an age-old method where the frame of your scene is divided into nine equal boxes. Generally speaking, positioning your subject on one or more of these lines is said to give your shot a more pleasing aesthetic than having it in the middle, though remember – rules are made to be broken. Many of Fujifilm’s X-Series cameras have a Framing Guideline mode where a 9x9 grid can be applied to help you compose using the rule-of-thirds. There’s also a 24 box, 6x4 grid modes for extra framing options. The Framing Guidelines also appear when using the Electronic Viewfinder on the X-T2. A wonky horizon is the first thing we spot when looking at a landscape and a perfectly straight one makes your images look much more professional. A hotshoe bubble level is one way of making sure the horizon is absolutely level, but this is another thing to carry in your kit bag and slows down the flow of your shooting. Many Fujifilm X-Series cameras have an Electronic Level built-in to them. All you have to do is activate it in the Display Custom Settings menu and a white horizontal line will appear over your scene which turns green when your horizon is level. It can also be used in conjunction with the Framing Guideline if you’d like to compose using the Rule-Of-Thirds at the same time. 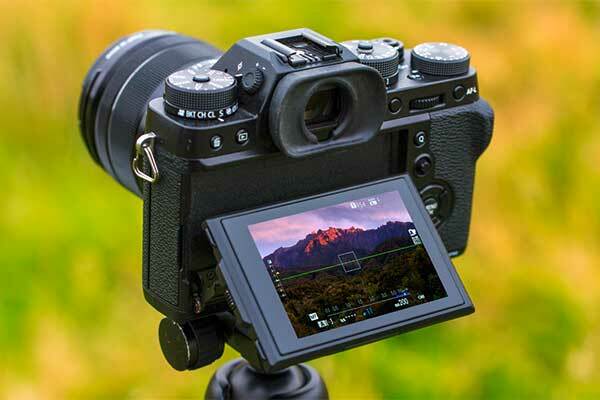 Fujifilm’s powerful built-in Film Simulation modes are a fantastic way of applying a different look to your images live through the rear LCD panel or when using the Electronic Viewfinder. Black and white photography lends itself to landscapes, and Fujifilm’s Acros Film simulation provides high contrast results with rich details and incredible clarity. There’s also a more subdued Monochrome setting and a Sepia tone to play with too, each adding a new feel to your image. 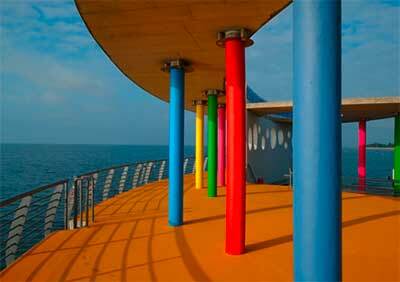 If you prefer to shoot in colour, the Velvia/Vivid setting delivers vibrant and striking colours. If you shoot in the highly-detailed RAW picture format you’ll keep the original colours intact should you prefer a different look later on. How to shoot the stars - wherever you are! Few subjects are as captivating as the stars, so it’s easy to spend hours gazing at them. Dan Mold of www.practicalphotography.com explains how to capture astro images loaded with detail. If you’ve ever tried to take a picture of the night sky using the automatic mode on your camera or phone, doubtless you’ll have been disappointed with the results. Creative cameras with manual modes, such as DSLRs, have the ability to capture a much higher level of detail than the human eye. But they do need to be set up correctly to do the night sky justice, so stabilising your camera with something like a tripod is essential for this technique. The night sky can look very different depending on where you are on the planet, as you’ll be able to see different star constellations. The southern hemisphere also gets a much clearer view of the Milky Way, so places like South America and Australia can be particularly good for these kind of shots. Regardless of where you are, you’ll want the sky to be as dark as possible. A dark sky area is one that is far away from the light pollution of city street lights, as this light will bleed into your shots, reducing contrast and star visibility. There are loads of dark sky maps online showing you where these dark pockets are. 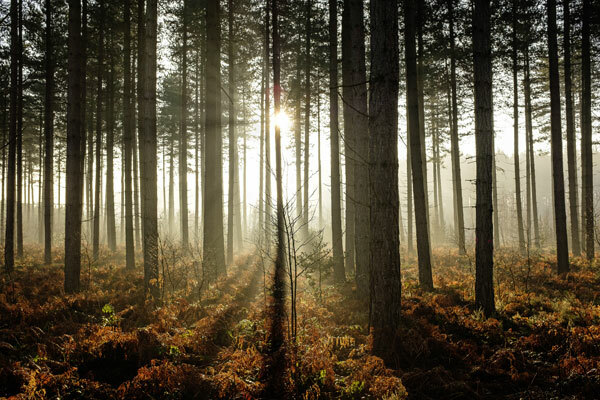 In England, places such as Kielder Forest in Northumberland become fantastically dark in the evenings. You can also use apps such as Star Walk 2, which show you where specific constellations are, as well as where the Milky Way sits in the sky. This particular app also informs you of special celestial events such as meteor showers. Set your camera up on a tripod and compose your shot. Focusing can be tricky as there is little light, but if you place your active AF point over a star it should be bright enough to lock on to. If the autofocus keeps hunting back and forth, don't worry. Go into your camera’s Live View mode and zoom in on the screen view so you can clearly see how sharp the focus is. Put your camera or lens into manual focus and adjust the focusing ring until the stars are pin-sharp. Go into your camera’s manual mode, set an ISO of 800 to begin with and open your aperture as wide as it will go. This is usually f/3.5-5.6 on a kit lens, but if it will open further that’s even better. Shutter speeds will vary between 5sec and 15sec, so start with a 10sec exposure as your first test shot. Set the 2sec self-timer so you don’t jog the camera and start the exposure. Alternatively, you can use a shutter release cable. Take a look at the shot on the back the back of the LCD and if it’s too bright reduce the shutter speed a little. If it’s too dark, increase the ISO and shutter speed a little until the exposure looks right. Make sure you don’t set a shutter speed longer than 15sec, as after this your stars will turn into long trails rather than sharp pinpoints of light. This is because the Earth’s rotation is more noticeable in these longer exposures. Make sure you shoot in the RAW format, as these files hold much more data – very handy for star shots when you need a broad range of tones, from the deep black sky to the bright stars. In your RAW editing software increase the exposure a little until you’re happy with the result. Push up the shadows and decrease the highlights to preserve detail in the darkest and brightest areas of the shot. Having a good level of contrast between the bright stars and dark sky is crucial for creating a great astro pic. In Photoshop you need to use the Dodge and Burn tools to selectively add these pockets of contrast. Start by clicking on the Burn Tool to make it active and in the Tool Options set the Range to Highlights and the Exposure to 3%. Make sure the Brush is soft so you can apply the effect gradually. Now brush over the areas of the sky you’d like to darken and keep painting over them until you’re happy with how dark they appear. Then switch to the Dodge Tool. Keep the settings the same as before, but this time set the Exposure to Midtones and paint over the parts of the sky you’d like to brighten. This includes the horizon, stars, foreground and Milky Way. Finally, set the Exposure to Highlights and paint over the stars to make them really pop. You can switch back and forth between the Dodge and Burn tools until you’re happy with the result. Dan Mold is a professional travel and wildlife photographer and a regular contributor to Practical Photography and Digital Photo magazines. He has recently returned from an epic adventure around Asia and Australia. See more of his work here.